A dark evening, in good company, with a bite to eat and a drink. You can relax around the Prairie fire basket campfire from Maandag Furniture, enjoy yourself and tell those campfire stories. The star shape makes it easy to arrange your logs. The campfire is made of corten or weathering steel, so it will last well under the starry sky. 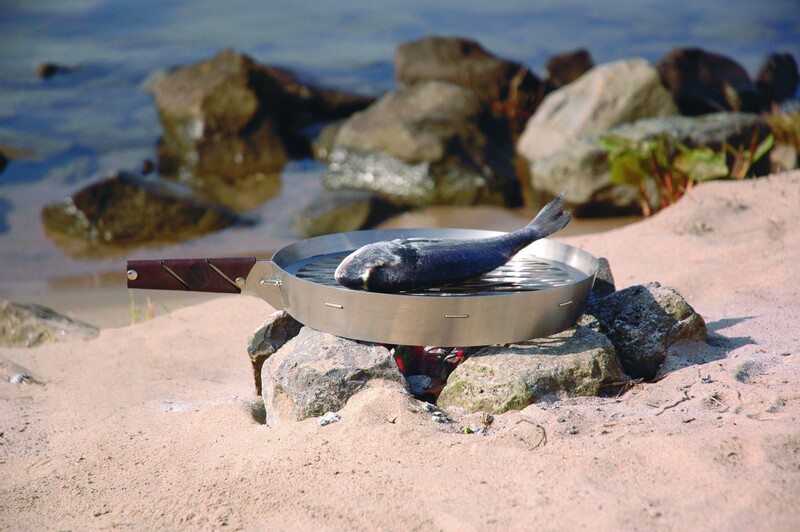 Together with the Prairie Pan, you'll enjoy food and fun at the beach, in the woods or on the camping. Relax after a busy day with a beautiful real fire. 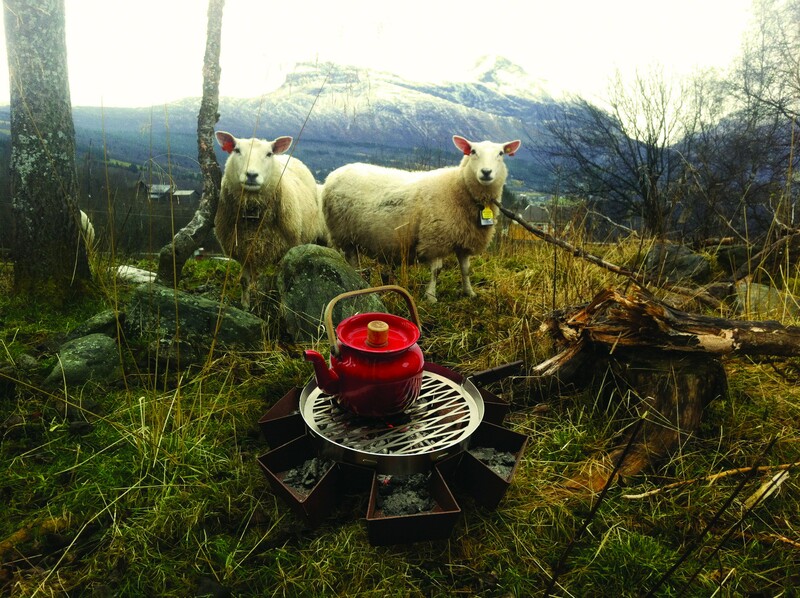 It's warm and cosy around the fire, and great for telling campfire stories. The Prairie fire basket from Maandag Furniture is a campfire at home or on vacation. The fire basket is star-shaped, making it easy to arrange your logs. The campfire has feet on its base and is made of corten or weathering steel, so it will last well out under the starry sky. 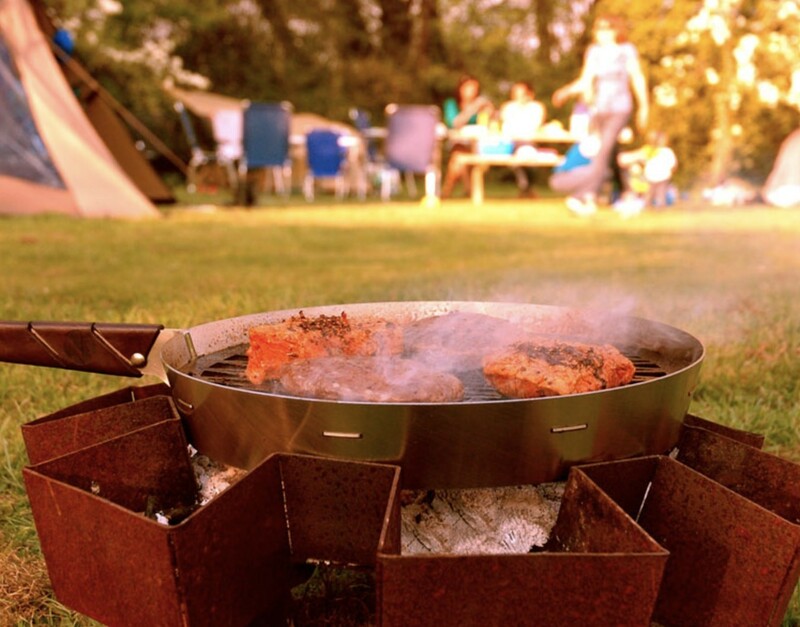 The Prairie fire basket is made from corten steel, a special type of steel containing copper. In time, the basket will colour into a rusty brown. This is caused by the formation of an oxide layer that protects the material and prevents further corrosion. So you can go on enjoying your Prairie for years to come. Thanks to the protective oxide layer, the material doesn't need painting. The Prairie campfire's feet are delivered separately and are easy to attach. 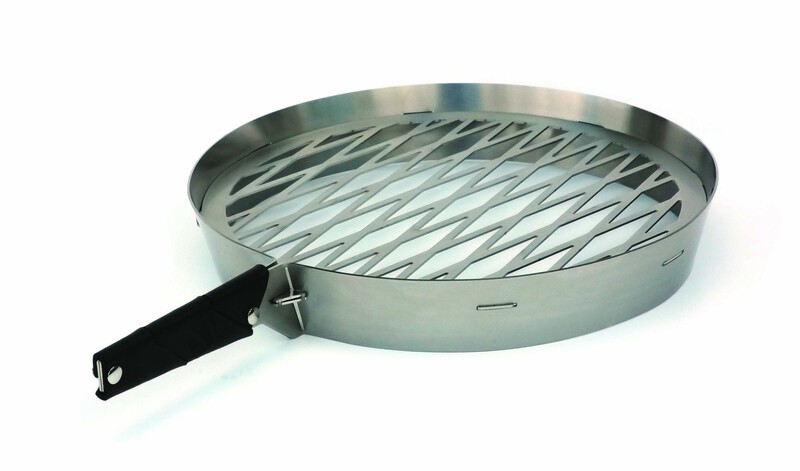 The Prairie fire basket is designed and manufactured in the Netherlands. Do you also want to cook outdoors? There is also a Prairie pan that has been specially made for the Prairie fire basket. 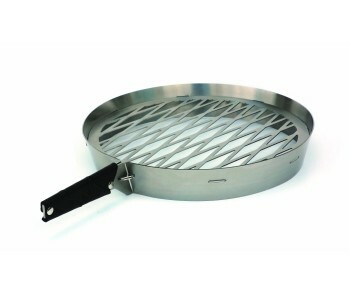 Ideal to grill meat, fish, vegetables and even bread on an open fire.